Safety. Security. Marine environmental protection. Humanitarian assistance. Homeland security. Service to others—in our communities, across the nation, and around the world. These are the things that Coast Guard Auxiliarists put first every day, the missions that these uniformed civilian volunteers have tirelessly performed for over seventy years. Auxiliarists come from a wide range of backgrounds, working in countless jobs outside of the Coast Guard, but serve together part-time in an equally wide range of missions. We are boat crews on the water during a search and rescue mission, public educators to recreational boaters, vessel inspectors, public affairs specialists, international language interpreters traveling the world, protectors of the marine environment, healthcare specialists, and more. Spent over 19,475,000 hours performing administrative work. "I've had the greatest experiences, met the greatest people of my life as a Coast Guard Auxiliarist. It doesn't matter what you do in your 'day job' -- when we're here, we're a team, and I can't imagine topping that." Interested in serving with Flotilla 25-12 in Northern Virginia? 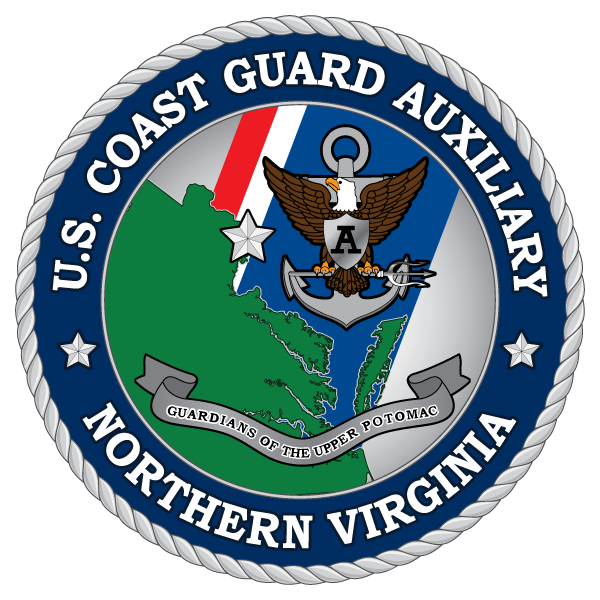 The next step is to learn more about the Coast Guard Auxiliary's missions, and those that we perform every day in Northern Virginia and around Washington, DC. There is likely to be a good fit for you, a place where you can volunteer your time and talents in service. Click to learn more about Coast Guard Auxiliary missions.